Our laser teeth whitening procedure takes only 20 minutes! While many options are available for at-home teeth whitening, it can take weeks to see any improvement. In-office teeth whitening can often deliver a better result, faster! While a typical in-office teeth whitening session takes 1 hour, thanks to our use of dental lasers, the procedure can be done in as little as 20 minutes! 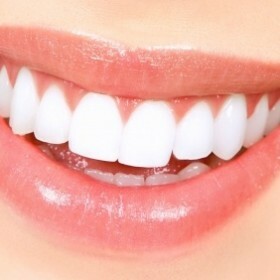 What kind of results can I expect from teeth whitening? Your teeth will immediately be 4-6 shades whiter after the procedure. We will use a shade chart before to give you a baseline to compare with after the procedure. Teeth whitening is a quick, painless procedure with no downtime! The only consideration after any teeth whitening is two-fold: Avoid hot and cold drinks or food, as your teeth are sensitive for a few days, and avoid foods that can stain your teeth.